Hello, I will post here everything concerning the topic of textures - updates, if there will be anything important, or something that I'd like to show you any concerns/controversies too, which may result in my attempts to remake/edit and yet, stay true to originals, or considering some textures for scrapping. I'm going to take the liberty of showing off a few of said texture sheets for the benefit of passers-by, since I've got them handy. Hey guys, I'll be needing your help soon! I can't find any good reference for DC though and your help would be very appreciated. Seems that most of the pictures I find are either of the White House, Capitol, court etc., and I need some city, streets stuff - How do the buildings and streets in DC look? 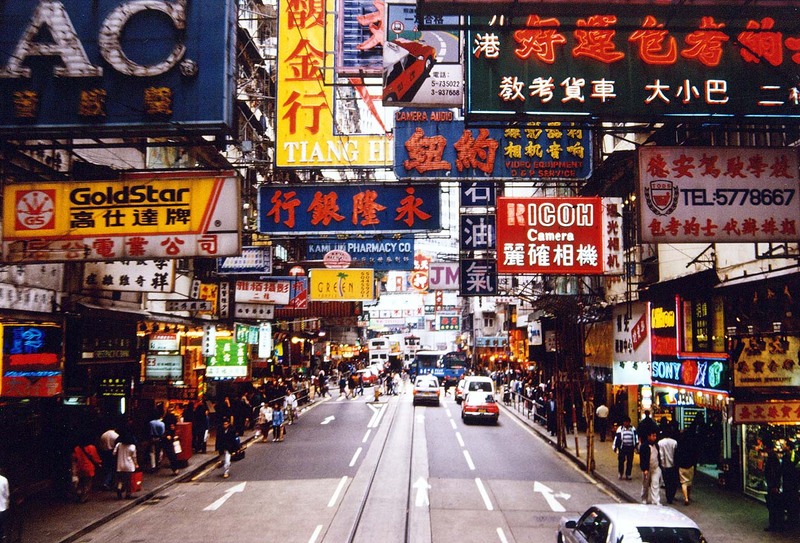 HK obviously needs to be cluttered (HK and Tokio are obvious inspirations for cyberpunk) less in DC or Paris but still. Those leave us with a lot for space for inside jokes/cameo stuff, if you like. Maybe not as blatant as Stronghold's ad screens but still. Plus one thing I'd like to do, as a nod to cyberpunk movies like Blade Runner, is to include logos of companies from 80's or early 90's which are now defunct or not as big/powerful now as before ( PANAM for example) I don't know much about such ones, so I'll be more than happy to hear your input. Please! I get stuck with the Dune City because there are not many textures fitting in the theme of an oriental city. All my attempts look bland and boring because the lack of texture variety. And if i can wish something, some palm tree sprites and a dune-sky would be nice too. Xaser wrote: 17 : "Dune City"
[HS] We arrive at a pleasure palace on an oasis in the middle of the sun-scorched desert. Within this Taj Mahal of the desert we find that some wealthy Caliph has built several different environmental terrariums-- like a jungle room, complete with thick foliage and undergrowth, and and an arctic room complete with ice stalactites. Monsters are behind every leaf and snow drift!. There are more secret passages than you can shake a stick at. But if you go outside, don't be out in the sun too long or you begin to lose power because of heat-stroke. [XA] Not sure how keen I am on the idea of the terrariums, but whatever works. A "desert palace" map is a heck of an idea, and who knows what kind of wackiness may be lying around the compound? 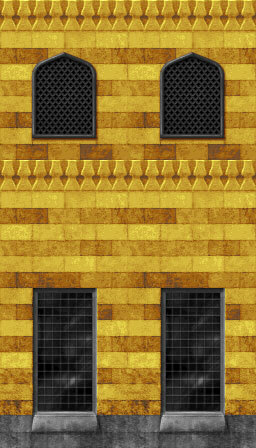 Which doesn't mean I dont plan on doing palace textures or anything other, distinctively Islamic. Tell of if you need anything city or just general palace will do. I'll try to get it some priority too. I do not really follow the design spec here. I wanted to create a generic oriental city first, and maybe add some more hacx-ish details later. My first attempts looked very bland, as i said, because i had just a hand full of textures, which fit in the dune theme. City textures it is, then! 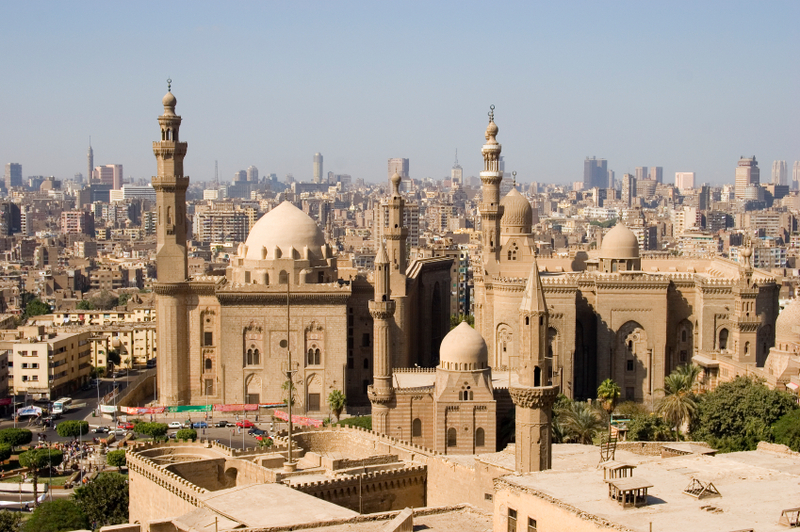 Hopefully, I've got some inspiring pictures from Cairo. You'll need to give me some time, though. Great stuff! Going to upload a new IWAD build with the new stuff (and a MAP06 beta ) soonish so all the good stuff can be put to use. Wow. I am really impressed. This is exactly what i had in mind. I can't wait to see those stuff ingame. 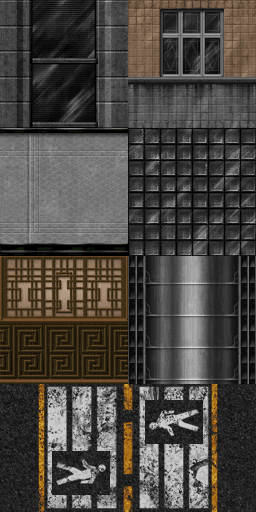 Maybe we can have alternative textures with blank bricks, door ans stuff. Have you checked your PMs? I've asked you for your email so I can share the Hacx's dropbox folder - I put all of my new textures there almost as soon I'm done - you'd still have to wait for Xaser to build the IWAD but you'll have an idea what you'll get to work with once he's done And a better idea what to request if you need to. That sounds great. I have done the door using a wooden flat from the hacx.wad, just for sketch my idea. ... and some more decorative, like the one, you have done. I guess yellow, red and dark green would fit that theme. I have a question for Xaser aswell, is it possible, that the Doom Builder config is totally out of date? I have the feeling, that it does not represent the status of the current IWAD. I think the config hosted on ionline might be out of date, though I've updated my copy since then to reflect the new sprite names and add a few supported specials. Thanks for the reminder -- I'll be sure and upload it when I get the next IWAD online.